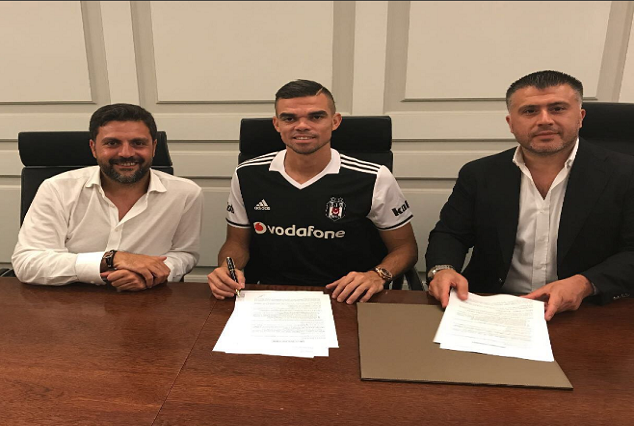 Portuguese defender Pepe joins Turkish champions Beşiktaş after ten good years at Santiago Bernabeu, the Turkish champions announced on Tuesday. The Portuguese, who has represented Los Blancos for a decade, failed to concur another contract agreement with the club and was tipped to sign for PSG. The 34-year-old even ventured to have a medical with the Ligue 1 giants, as indicated by Marca, but the deal failed to work out. As indicated by reports in Turkey, the Portuguese defender has signed on a three-year deal and will earn around €3.25million per season. Casquero in the wake of fouling him and punching Juan Albin in a league encounter in April 2009, earning a 10-game ban, and later apologised and said he had “lost control”. He will be affectionately remembered by the Madrid club’s fans for his vivacious performances and steady association with Sergio Ramos.